How Far is Arham Sea Scape? Sea Scape unique concept lifestyle to lead a lavish lifestyle within the confines of your homes. Every residence of the project brings together premium luxury one can desire for and makes it exclusively available inside one’s life-space. The abode has been designed to be your personal paradise, full of privileges that will make you feel special every moment. Relax in the most lavish and exotic surroundings that you have always dreamed of. Sea Scape is definitely a perfect residential abode to dwell with your loved one in the most safe and secure environment. RCC framed structure – as per structural consultant / Based on the Soil Test and Sesmic Zone III Eleven feet Ceiling Height. Main Door: Quality Teak Wood frame with Ornamental Door. Toilet / Balcony Door: Quality Teak Wood frame with waterproof Plastic Coated Flush Doors. Windows: UPVC windows with MS Grill and plain double glazed Sound proof Glass windows. Ventilators : Aluminium adjustable louvers. Toilet Dado: Glazed Tiles upto ceiling height / Granite. Concealed UPVC pipeline in bathrooms. PVC Rain Water, Sanitary, Waste line Ducts. RAK / Kohler / Jaquar C.P. Fittings / Diverter Set / Shower / Shower panel in Master Bedroom. RAK / Kohler / Parryware Concealed Cistern Sanitary Fittings white in colour. Three Phase Power Supply / Phase Changeovers. Adequate / Fan and power points in Bedrooms. Wood Work: Enamel Painting / Melamine. Excellent Landscaping as per Architect Details, Terrace Gardens / Plants and trees for better environment around the compound wall. Counter Top: 20mm thick Granite in Kitchen Counter with Stainless Steel Sink with Drain Board. 1 Double Bowl Sink in the Utility Area. Anti-termite Treatment in All Levels / and foundations. Underground sump adequate capacity for each villa. Electric Chimney / Exhaust Fan in Kitchen. Power Backup for Common Area and Light and Fan point in the Apartment. 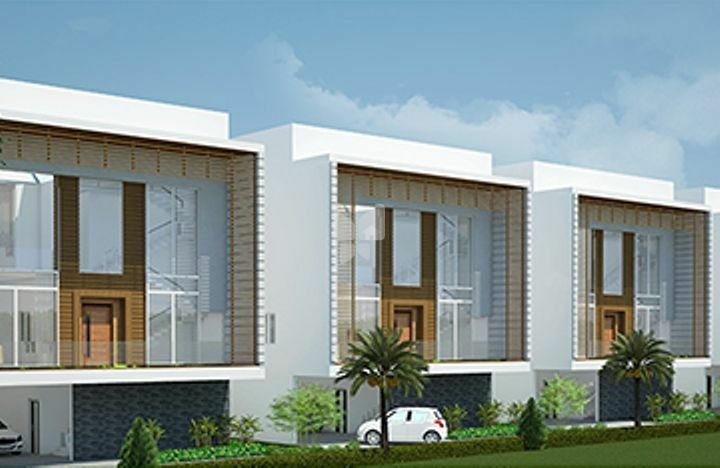 Arham Builders is a new entity of the illustrious Sri Venkateswara Homes, is led by a team of young and passionate entrepreneurs and financial experts having a reputed lineage in the business, it has a very dedicated team of engineers, architects, and designers who work very passionately to serve you with the best in quality infrastructure and your dream homes. The group has been established on values and ethics, dedicated towards building sustainable homes that initiate new changes in the construction space. The group has a new generation, eco-friendly homes that are bound to inspire green living in everyday life, while the group also effectively meet the ever-growing needs and demands of customers in the rapid, changing urban life. Arham Builders, developments include Arham Sea Scape in ECR Chennai which offers you ready to occupy 5BHK villas for sale in ECR also Arham Felicia in Neelankarai, Chennai which offers you ready to occupy 4BHK villas for sale in Neelankarai as well as Arham Mitra in RA Puram, Chennai which offers you ready to occupy 3BHK apartments for sale. The group has completed and delivered more than 160 projects which have covered over 62.5 lakhs sq. ft. Their creations stand as a testimonial to Sri Venkateswara Homes' commitment towards excellence and its customer-centric approach.